George holds a BSc in sciences and mathematics, an MSc in systems science and an MBA from the University of Ottawa in Canada, a post-graduate diploma in public administration from Carleton University in Canada, a post-graduate diploma in English and Hong Kong Law and an LLB (Hons) in law from Manchester Metropolitan University in the UK, a LLM in law from the University of Wolverhampton in the UK, a PCLL in law from the City University of Hong Kong, a Certificate in Professional Accountancy from the Chinese University of Hong Kong SCS, and an MPA and a PhD from the University of Hong Kong. A former member of the Hong Kong Bar, He is also an Fellow of the Hong Kong Institute of Arbitrators, the Hong Kong Institute of Directors and CMA Australia, and an Honorary Fellow of CPA Australia and the University of Hong Kong School of Professional and Continuing Education (HKU SPACE). George was appointed Visiting Professor (in the subjects of corporate governance and investment banking) at the School of Economics & Management of Tsinghua University in Beijing, an Adjunct Professor at the Department of Management in the Chinese University of Hong Kong, and an Adjunct Professor in the School of Business of the Hong Kong Baptist University. George is a Solicitor of the High Court of Hong Kong, formerly a member of the Hong Kong Bar. George has over 30 years of international experience in general management, strategy consulting, corporate governance, direct investment, investment banking and fund management across the telecommunications/media/technology (“TMT”), consumer/healthcare, infrastructure/real estates, energy/resources and financial services sectors. 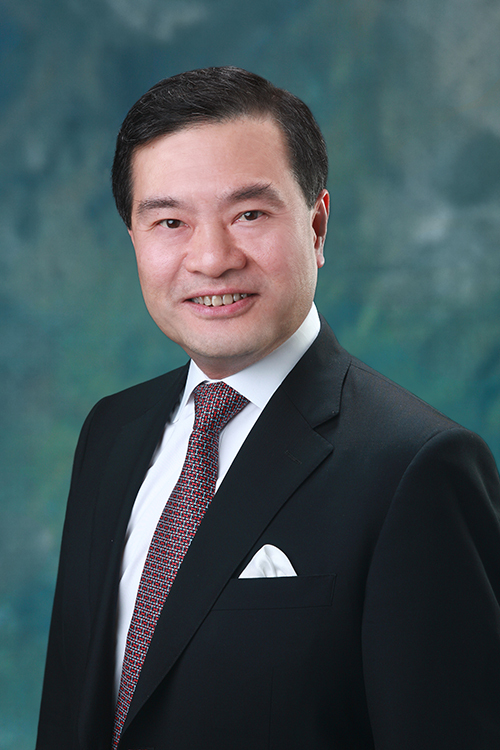 George is Chairman of Hong Kong Cyberport Management Company Limited, and Non-Executive Chairman – Hong Kong and ASEAN Region and Chief Adviser to Macquarie Infrastructure and Real Assets Asia. George is also active in public services in the Mainland China and Hong Kong SAR. He is currently a Member of the Jilin Province Committee of the Chinese People’s Political Consultative Conference (CPPCC) and was formerly a specially-invited Member of the Zhejiang Province Committee of the CPPCC. He is a member of the Committee on Innovation, Technology and Re-Industrialization of the Government of the Hong Kong SAR and the Hong Kong Trade Development Council Belt and Road Committee. George is also engaged in many professional organisations. He is a honourary Advisor to Hong Kong Business Angel Network, Special Advisor to the Asia Pacific Real Estates Association, a member of the Court of City University of Hong Kong, Honourary Chairman – Asia Pacific of CMA Australia, President of Hong Kong-ASEAN Economic Cooperation Foundation, a Board member of Pacific Basin Economic Council, and Vice Chairman of the Business Advisory Council of the United Nations Economic and Social Commission for Asia and the Pacific.